This Swiss made Torgoen T33 mens pilot watch features a chronograph movement, created by Ronda for timing seconds, minutes and hours, and dual minute and hour indexes. A black chronograph, atop a black dial and red hour ring, gives this classic watch a straightforward look with an elegant touch. 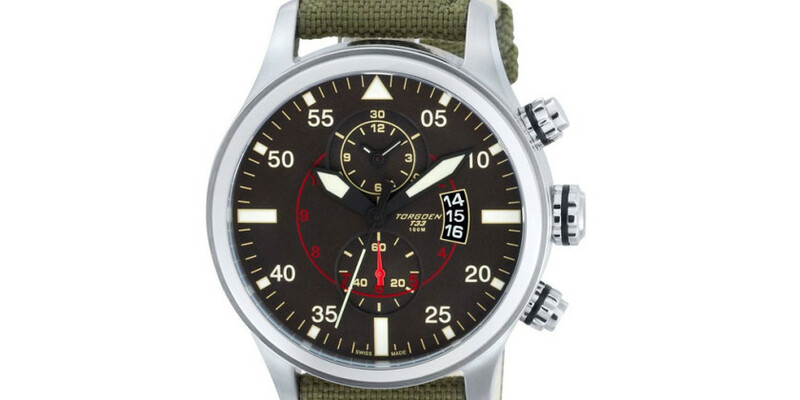 Buy your Torgoen pilot watch, click here! Torgoen T33 Pilot Watch : Pilot Watches 0 out of 5 based on 0 ratings. 0 user reviews.